A grocery store is literally next door! The tram, bus and metro are within five minutes of the hotel. The building looks nice from outside. Thats about it! The place has a nice decoration. And it has to nearby train stops. 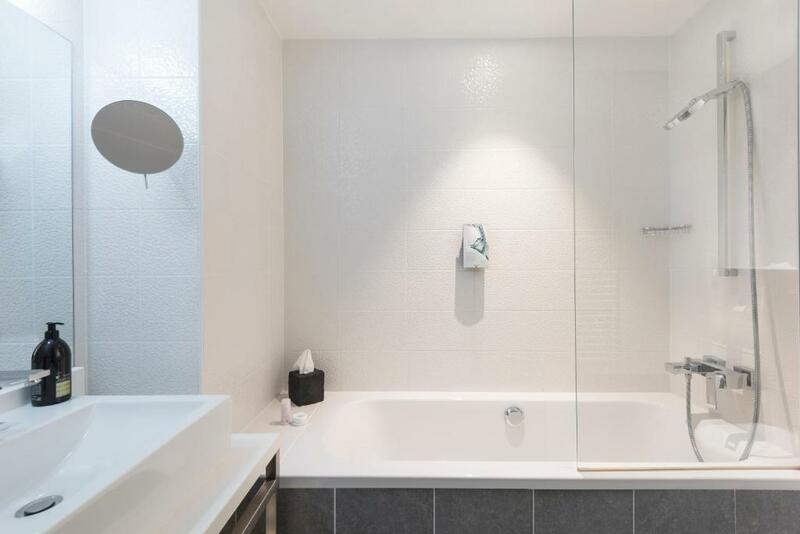 Bathroom where clean and confortable as the room. Staff were helpful and the room was clean. Kitchenette was an added bonus to have. As far as accommodation in Paris it was value for money. The location was good for access to metro but I think I would look for closer to the city center. Location was good. Walking distance to a station which takes you to the centre very easily. The location to see the residential section of Paris was pretty awesome. 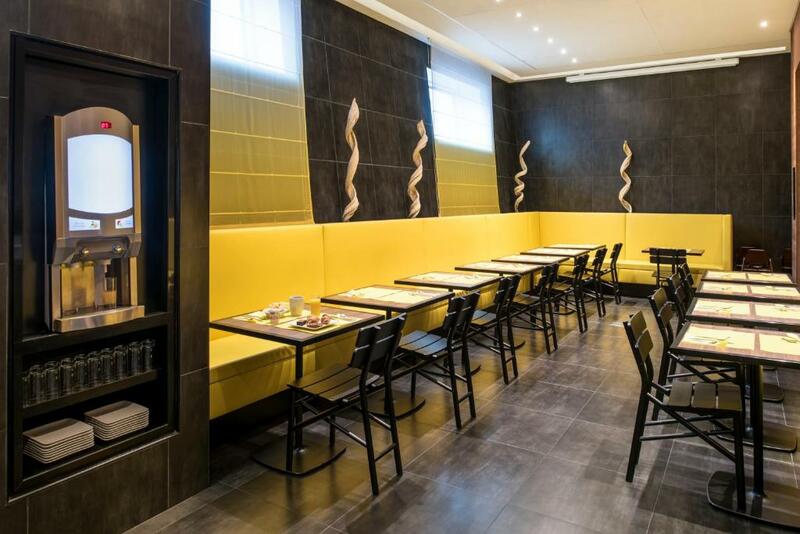 We have no complaints about Hipark Paris. During our short stay in Paris, my wife and I took the metro to central Paris to explore during the day. In the late afternoon, we enjoyed the nearby lively Parc de la Villette. Very clean, modern & great room. Great location, Close to transportation & many shops around. A decent location. A very easy commute in on the metro about 8 minutes walk to the nearest stop, just by the park. A 25 minute commute to most central locations. Payed for the larger studio at not much more cost, had a very large bathroom and lots of space. kitchen was perfect for bringing back deli food and a large enough fridge for drinks and food. An ice shelf was included. Perfect little dishwasher to clean up. Enough room for storing your stuff away. Nice and clean on arrival. Roll away shutters so you can have total darkness and nice black out curtains. One of our top picks in Paris.Featuring free WiFi and air conditioning, Hipark by Adagio Paris La Villette offers accommodations in Paris with private parking on site. 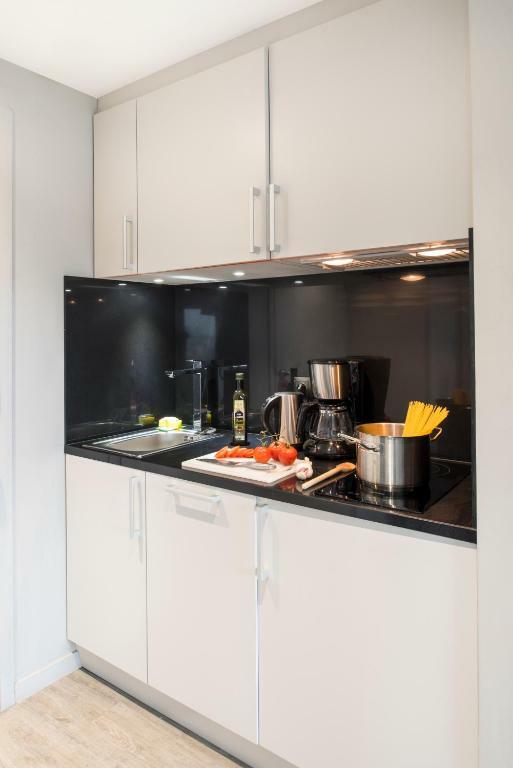 Each studio or apartment features a satellite flat-screen TV and a fully-equipped kitchen, fitted with a dishwasher and a microwave. The private bathrooms include a bath and free toiletries. Guests can also make use of the complimentary towels and bed linen provided. Breakfast is served daily in the dining room. Restaurants can be found within walking distance. 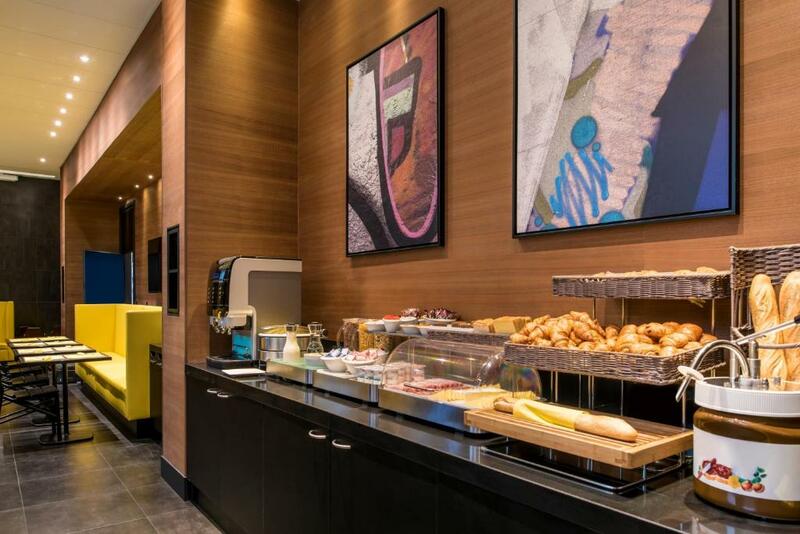 Additional facilities at Hipark by Adagio Paris La Villette include a 24-hour reception and a fitness center. 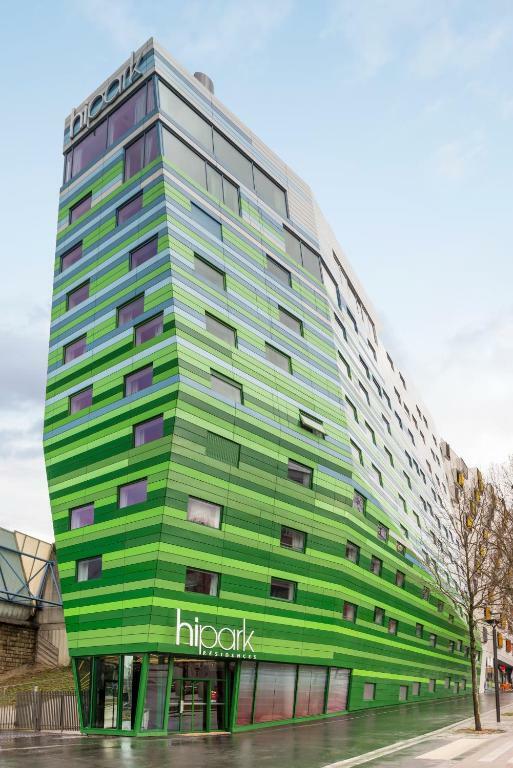 Hipark by Adagio Paris La Villette is a 10-minute walk from Buttes Chaumont Park and 2.8 mi from Place de la République. 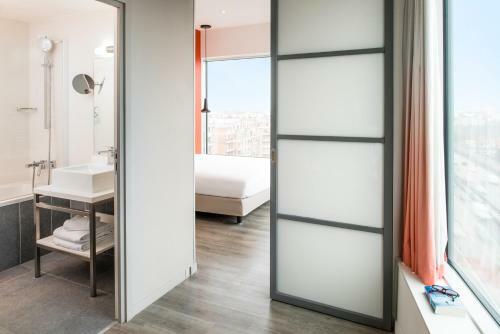 Porte de Pantin Metro Station (Line 5) is a 10-minute walk from the property and Butte de Chapeau Rouge Tram Stop (Line 3) is 150 feet from the property. The closest airport is Orly Airport, 11 mi away. 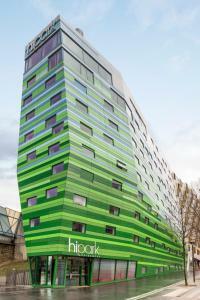 When would you like to stay at Hipark by Adagio Paris La Villette? This apartment features a stovetop, dishwasher and seating area. 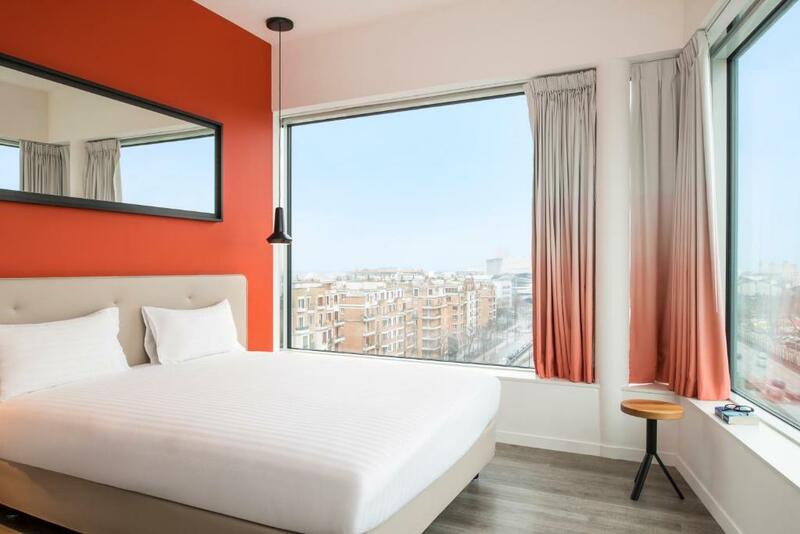 House Rules Hipark by Adagio Paris La Villette takes special requests – add in the next step! 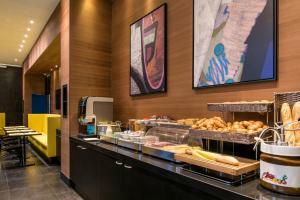 Hipark by Adagio Paris La Villette accepts these cards and reserves the right to temporarily hold an amount prior to arrival. Please note that banknotes of EUR 500 are not an accepted method of payment. 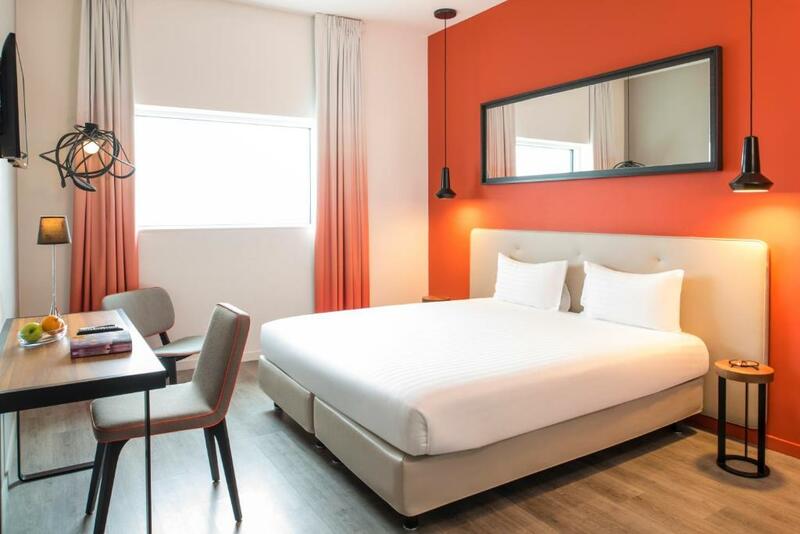 Please note that connecting rooms are available on request only, according to availability. Please note that parking is available upon request only and subject to availability upon check-in. Breakfast was adequate but didn’t justify the 18€ cost. Air conditioning was just a screen on a wall with buttons. There was no cooling. It was a very warm week and it made no difference. The window doesn't open. You have to pay for your room to be cleaned at a fee of €20. There will offer a free clean after a seven night stay I believe. My room is without windows, it was too hot in during the night and The temperature control couldn’t be set manually which made me to have sleepless nights. It’s exceptionally clean and all utensils are new. Staffs are very supportive and welcoming. Air flowing through door undercut was making annoying whistling noises, got easily fixed with a towel tucked under the door. Water temperature was getting really low at certain points of the day. Quite far from centre of Paris. Takes an hour on public transport or 30 minutes by car. Really big rooms. Bathroom was lovely and modern, good size too. Bed was comfortable and facilities were great. The first thing we noticed when we got to the hotel was how dirty the outside was and the entrance before the lobby. Once we entered and tried to check in, we were told we had to pay again despite having already paid with proof on booking.com & my bank statement. This was extremely frustrating and seemed ridiculous. This delayed us checking into our room by an hour. 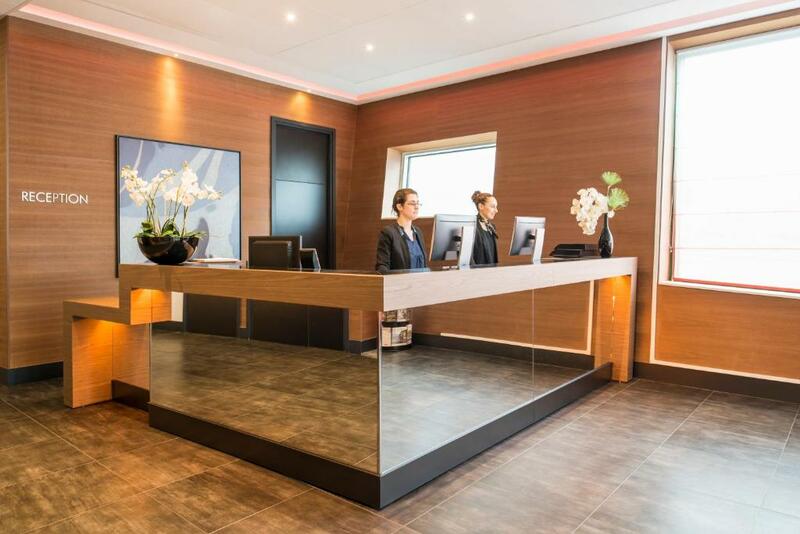 Eventually, the receptionist allowed us to check in without additional payment after we spoke to customer services with booking.com. The rooms are lovely and look just as good in real life, if not better (apart from the dirty walls). There was a supermarket next door to the hotel, and although the hotel was not in central Paris (19th arrondissement) - there was still easy access with metro / tram nearby. There was a microwave, cutlery, plates and cups which was cool and would have been useful if we had been staying for longer. The Gym was locked everyday and despite the Staff telling me that my key would access it after the first day, it never did and I had to request them to let me in every time. Just a little inconvenient when the facility is supposed to be open and accessible till 12am. The Staff working here were incredibly helpful. They were familiar with the surrounding area and local facilities and were able to provide recommendations and easy directions for anything that I needed, many times able to provide it from in-house. The were friendly, approachable and willing to help which made my stay very pleasant. Breakfast not included and the cost of it was a little excessive considering the already expensive rooms. The room I was in was also not very clean - it wasn't visibly filthy, but I could tell the floor wasn't properly cleaned when I walked on it barefoot. The AC in the room was also not very effective and had to be left on overnight at 32*C (!) in order to warm the entire room (I'm usually content in a colder room, so for this to be a problem for me is exceptional). I was also surprised to learn that room service is not included for short stays. This wasn't particularly an issue for me since my stay ended up only being two nights, but it's the first hotel I've stayed in without room service - even counting cheaper ones. Well-situated. It's not especially close to shops and restaurants, but they're only a few minutes' walk away. There's also a metro station just outside the hotel. Staff were generally professional and helpful.